“Export or die” might seem harsh advice for many working in the largest wine-producing province of cash-strapped Argentina. But, the home market is slowly drying up, and exports bring in dollars, a much-needed commodity. Those wineries that already have a toehold in export markets are working harder than ever to give their wines the necessary edge to attract European and North American wine consumers. For any visitor to Mendoza at harvest time, the difference between grapes destined for home markets and those earmarked for export wines is starkly obvious. Drive along the provincial highways and you pass trucks piled high with grapes intermingled with leaves, open to the warm, dry air and diesel fumes, the weight of the grapes crushing those at the bottom and starting an unwanted fermentation. These grapes are never going to produce wines we want to drink. 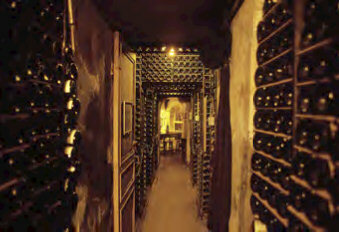 For the best export wines the grapes are shepherded from vine to fermentation vat with selection being the route to quality. In the summer many practice a green harvest to eliminate the poorer bunches and reduce crop for more concentrated flavours. At harvest the pickers are encouraged to discard sub-standard bunches, and grapes go into small plastic crates to avoid crushing.At the receiving area, leaves and unripe or rotten grapes are removed whilst the bunches move slowly along a conveyor to the de-stemming machine. Quality wineries like Norton have installed a sorting table after the de-stemming machine for a final chance to remove any bad individual grapes. This is labour-intensive work. Vines thrive in Mendoza with ample sunshine and little risk of disease in an arid climate. The huge and dramatic backdrop of the Andes Mountains creates a protective rain-shadow, well, most of the time. Precipitation, when it comes, may arrive in the form of golf-ball sized hailstones that cause devastation in just a few minutes. In early summer, hail can strip the vines of all their leaves destroying any chance of a crop, and if the storm comes later in the year, the grape bunches can be so badly damaged that rot sets in within 24 hours. Until recently, this hazard was viewed in Mendoza as a fact of life, but today, top producers have invested many thousands of dollars into hail-netting for their best vineyards. The nets have changed the view of the landscape and made a big dent in producers’ pockets (the cost is a minimum of US$5000 per hectare) but if losing the crop from your most lucrative vineyard is at risk, then it must be worth the price. Irrigation is essential to grow anything in Mendoza. Those in the suburbs of the city take pride in their lush gardens, but if the rivers from the Andes dried up, everything would die. Many viticulturists see controlling irrigation as the key to achieving optimum crop yields. Older-style flood irrigation is still in widespread us and is said to help prevent the spread of the root louse phylloxera. The wonderful old Malbec vineyards such as those owned by Terrazas in the high Vistalba area at around 1000 meters above sea level are preserved by using the old-fashioned layering system to plant a new vine from an existing “mother” vine, something you can only do with un-grafted vines. Most new vineyards, especially in the cooler and higher Uco Valley further south, are planted with grafted vines and use the more controllable drip irrigation system.New and re-furbished wineries abound, some wholly or mainly Argentinean owned (notably Familia Zuccardi and Catena Zapata), but many with substantial foreign investment from France (Terrazas, Etchart, Alta Vista, Domaine Vistalba, Lurton), Holland (Salentein), Austria (Norton), Spain (Septima), Portugal (Finca Flichman), USA (Tapiz) and even Chile (Trivento and La Celia). State-of-the-art stainless steel equipment and temperature-controlled barrel stores are becoming the rule rather than the exception that they were just five years ago. 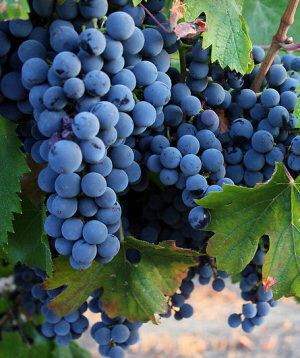 Foreign viticultural and winemaking consultants are commonplace. 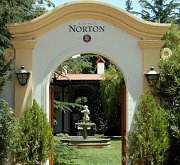 Any wine producer in Mendoza who has tasted the competition from around the world knows that quality is a fundamental requirement for success. Mendoza is a giant producer, accounting for 70% of Argentina’s wine – that’s more than twice the production of its neighbour Chile. Much of this is terrible stuff, but the amount that is good is increasing and the quality gets better each year with Chardonnays showing finer structure, Malbecs and Cabernets demonstrating more complex flavours, and Tempranillos and Bonardas giving longer length on the palate. The 2002 vintage appears outstanding and will start to arrive on our shelves later this year. With the ongoing economic crisis, we are promised stable prices with plenty of promotional offers, so there can be no better time than now to help support the struggling Argentinean economy.